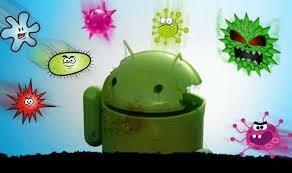 In this post I will tell you how to know that your android is infected. Android smartphones are in fashion these days. But habit of installing unknown Apps frequently in Android smartphones has made it vulnerable to virus , malwares, spywares e.t.c . Because of these types of infection your smartphones can behave strangely and you can lose the privacy of your data and calls. It can be compromised unknowingly. So it is very necessary to know that is your phone infected or not? So in this post I will tell you some points by which you will be able to know that your Android Smartphone is infected or not ? Your calls will behave strangely – sometimes during a call it suddenly stops. If it happens frequently then try calling other number and if possible try landline. It may be that problem is on the other side but many times it may be due to malware infection. This type of infection interfere with your calls when it uses your network. It can record your chat with your friends and it is a big threat for your privacy. So be alert. Wrong bill - if you use postpaid connection and getting wrong bills then it may be an alarming condition. Sometimes infection can do SMS activity and Data usage which is not known to you . so always keep an eye on how much data you use . if you know from someone that he has got a strange message from you which is not sent by you then it may be due to malwares . So be alert. Your phone is running slower than usual- if you find that your phone is running slowly . your apps starts very slowly and sometimes your phone hangs. Then it may be due to infections in your Android smartphone. So it’s time to check. If you find any of the above situation then you should scan your Android smartphone for infections. I have discussed in my previous post about top 5 free Antivirus for your Andriod smartphone. This post will be very useful for you.